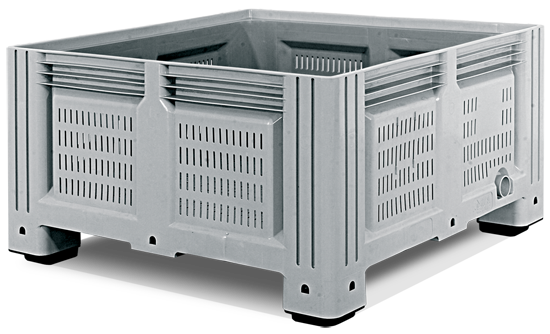 Helesi pallet boxes are an ideal packaging system adapted to a wide range of agricultural and industrial uses. 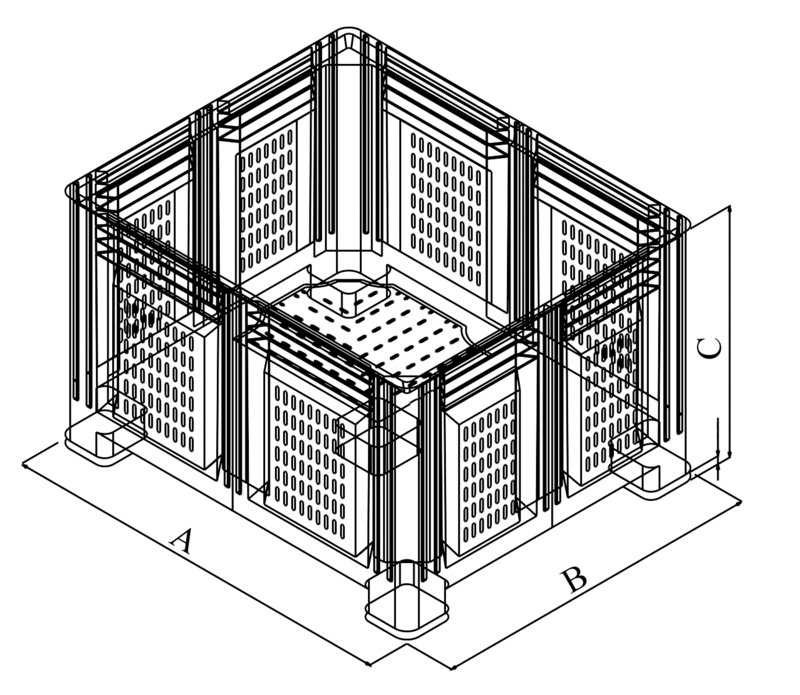 Dimensions are designed so as to optimize space utilization in trucks, containers and warehouses. They are made from non-toxic plastic materials. Additionally, the rounded corners and smooth inner surface facilitate cleaning. 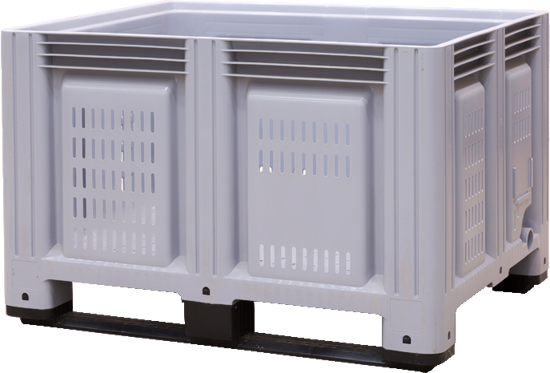 Robust design guarantees reliable performance for storage, stacking and transportation of food or industrial goods. 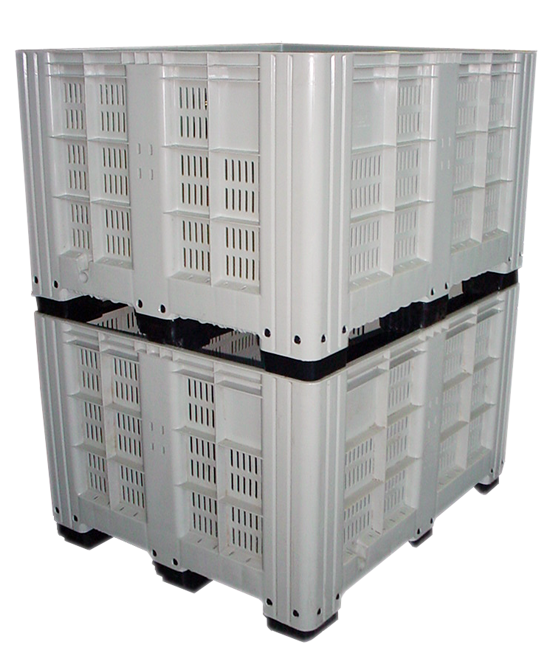 The open version pallet box is especially suitable for refrigeration applications, thanks to its resistance to cold and carriage capacity. Manufactured after high quality standards, out of food-friendly polyethylene it guarantees long life expectancy and resistance against chemicals, frost, heat and UV radiation. Depending on special stacking needs, it can be provided with crossbeam or 4 feet. Also, it is available with a front opening door or a small tap enabling overseeing and sample taking of the contents. Customized names, logos, instructions, serial numbers and graphics can be embossed or hot stamped on the body of the box rendering the individualisation of the boxes possible.